I have only read a few issues of The Walking Dead but it was a very intrguing read by Robert Kirkman. It’s ironic that I should not find the tv series any better for some reason but I have played a few Telltale series which I found a much compelling story for me. I’ve come across some of these characters mentioned such as Jesus which is nice to familiarise myself with. Also a great cover issue here. 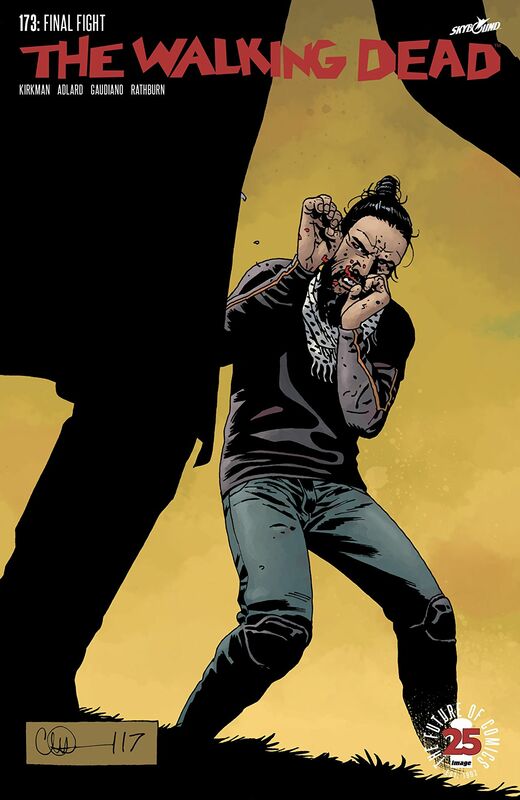 I really like the TWD comic series, especially the early issues. The storylines and characters have evolved a lot over time, I enjoy the TV series as well, although some seasons have been stronger than others IMOP. I’ve not played the Telltale games, but I’ve heard they are good. Thanks for commenting, This issue did indeed have a great cover. I am finally getting caught up on this book – only 20ish issues to go now. Good review – looking forward to reading it. Fyi, do you mean “razed” instead of “raised” when referring to Hilltop? I’m not familiar enough to know if was destroyed, or an undercity brought up to the surface? Cheers for correcting that for me, I did indeed mean it was brunt down in the Whisperer War. Sorry for any confusion.